Automotive has acquired major innovations in design, plus we will allocate more than 80 systems for active and passive safety. Now the car has a brand new LED optics with other bumpers. The new car can be distinguished by other wheel arches with modified luggage compartment doors. Inside the car there is a 7.0-inch touch TFT screen, a different "fitting" with brand new seats. The driver has at his disposal a digital radio DAB, Bluetooth, as well as a "climate" system. The luggage compartment by volume was 30 liters more. The novelty is available for purchase from 1 of 3 all-wheel drive systems to choose from - Jeep Active Drive I, Jeep Active Drive II, Jeep Active Drive Lock. The updated car will be driven by a 2.0-liter petrol unit with 4 cylinders, which has direct injection, as well as a Stop / Start system. The power of the engine reaches 270 hp. In addition, customers will be able to take cars with a 3.2-liter Pentastar V6. 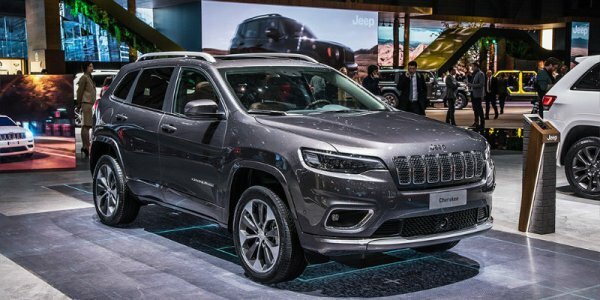 Jeep Cherokee will arrive from the second half of 2018. There are 4 modifications of the model - Sport, Longitude, Limited, Overland.